Night Dreamer is all that it’s supposed to be … for me it was as if I had opened the door to my past. I remembered being about fourteen in 1964, going to a quiet but upscale dinner party with my parents, where the host and hostess not only played really cool music like this, but they understood this music, and they had the clothes and gracious attitude to wrap it all up in a perfect package. I rode home, sitting in the back seat alone, but in my mind I was still sitting at the dinner table, paying attention to every little detail … with words like “hor d’ourves,” “shredded blue cheese,” “jazz,” and “light dimmers” echoing in my head. It was all so new to me, it was a world in which my parents did not travel, but certainly one I hoped to; and with all of the same grace and ease shown by my hostess, in her black, sleeveless, turtle necked, angora dress and single strand of glimmering pearls. Her name was Dana, and she didn’t talk down to me, she was happy to point and discuss anything I looked at … but what held my attention most, was that she always seemed to be listening to the music, even while she was talking she was listening … so was her husband, who would do this quick tappy drumming thing right over his heart almost unconsciously. 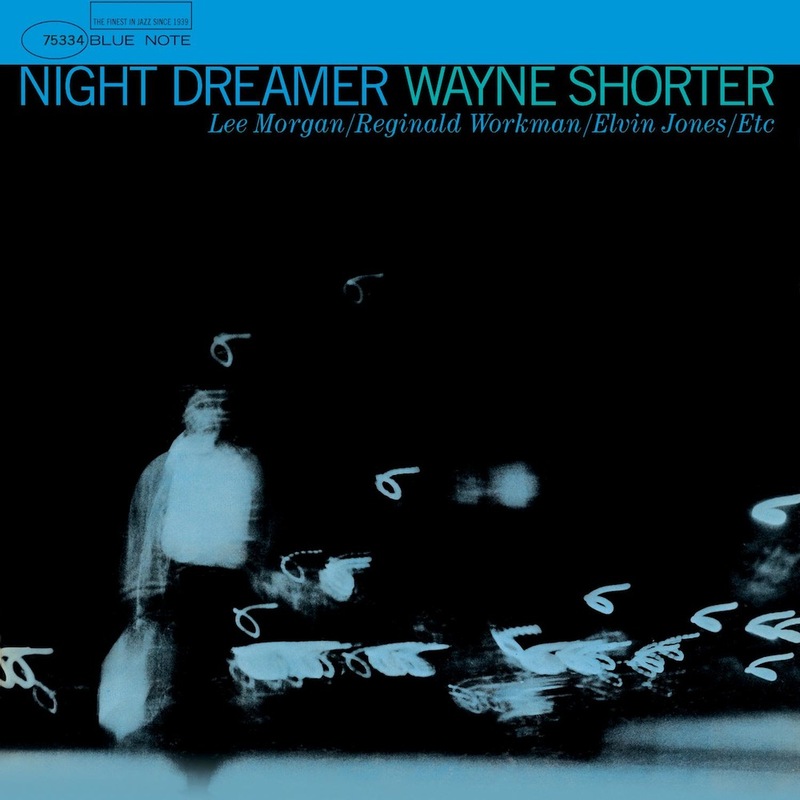 I remember her saying how much she loved this album by Wayne Shorter, she even picked it up and showed it to me, but with my head so full of new wonders, it is no wonder that I did not remember his name, or “Night Dreamer,” the title of this album. Now, over forty years later, a dear friend has reacquainted me with such a seminal moment in my life … when everything was was cool and blue and new. This is nearly a perfect record, reflecting the talent of one of the greatest Jazz musicians. Even in Rock, yet alone Jazz, it is seldom that I have the luxury of playing an album from which every song proves a comfortable listen from beginning to end … and Night Dreamer is one of those exceptions. The songs are varied, but seem to maintain an emotional theme, centering around relationships gone astray, romance, heartbreak, love, pain … and all from the perspective of an artist who has actually lived these experiences, and has been gracious enough to share them with us. While the songs are not so much remembered in the fashion that one can hum them from memory, never the less, the songs seem to find a place in your mind, and reside there for all time … I am living proof of that. The smile this release brought to my face, and the warmth to my heart, was like meeting an old friend again … one whom I will not let slip between my fingers for a second time.